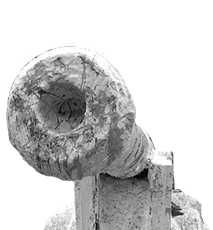 The Cannon - Call to Action! need help with the cannon? The "Student Choice Initiative", was announced by the Ontario Government earlier this year. the initiative will allow individual students in Ontario to choose to elect out of student fees. Many clubs on campus represent a wide diversity of the student population and allow for students to be represented in these clubs. If they are starved for funds, they will likely diminish. Read more about the initiative and its potential impact, as well as what the CSA has to say, and what you can do about it by clicking the image. The Doug Ford Ontario Government announced a 10-per-cent tuition cut, but at the expense of reduced financial aid for college and university students (i.e., a reduction in non-repayable grants and an increase in student loans, the elimination of the 6-month grade period for loan repayment). It will also invoke changes to the fees that students pay. Except for "essential campus safety and health initiatives," students will have a choice about whether or not to pay fees; a move which the government is calling the "Student Choice Initiative." These student fees pay for a variety of services, from orientation to student clubs to bus passes. For the University of Guelph, the services and clubs that are made possible through these fees provide unique and positive experiences for students. Student clubs allow opportunities for students to develop their skills, make new friends, and feel included. Many clubs on campus represent a wide diversity of the student population and allow for students to be represented in these clubs. If they are starved for funds, they will likely diminish. The government's proposal is a direct attack to on-campus groups that advocate and fight for equity, human rights, and political rights, as well as any campus group at all that relies on student fees for necessary funding. In addition, Some fees have contracts behind them, decided on and approved by the students that agreed years earlier, by a democratic referendum, to fund. If students wish to remove such fees, the system is designed to address that through the same process. 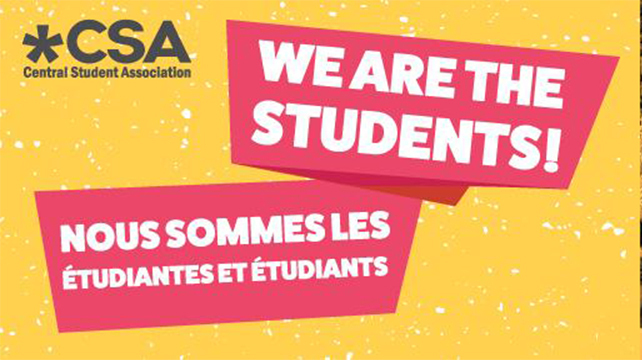 In an official statement, the CSA notes that it opposes the removal of mandatory ancillary fees and condemns the approval to do so, and that it is fighting for the reinstatement of more accessible education to everyone, made possible through the 2017 OSAP plan and the Ontario Student Grant, on behalf of students at the university. They "implore the government to ask the right questions to determine functional changes to the post-secondary funding system that will help solve for the inequities inherent in the system rather than guessing at what band-aid solution to an already struggling post-secondary industry might win them the most votes." The CSA demands that the government immediately rescind their proposals in favour of informed consultation with post-secondary administrators and students in the development of proper policy.